TIM O’BRIEN, guest anchor: As the race for the White House moves forward, religion is playing a prominent role in the campaign. We have been and will continue covering that. 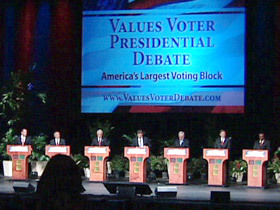 This week, we look at indecision among evangelical voters about which presidential candidate to support in 2008. Evangelicals have become a key part of the winning coalition for Republicans. They represented about 40 percent of George W. Bush’s total vote in 2004. But so far this campaign season, evangelicals haven’t united behind any of the presidential candidates. Kim Lawton has our report. KIM LAWTON: On paper, former Arkansas governor Mike Huckabee seems like a perfect presidential candidate for conservative religious voters. He’s a pastor turned politician with longer executive government experience than any other Republican in the race. He’s solidly against abortion and gay marriage, and he speaks openly about his faith. MIKE HUCKABEE (Republican Presidential Candidate): If it’s real faith, it’s a part of our lives. We should be comfortable talking about it, just like I’d be comfortable talking about my allegiance to the Arkansas Razorback football team. That’s not difficult for me. Why should religion be so difficult for me to talk about? LAWTON: But the majority of evangelicals haven’t embraced Huckabee’s presidential campaign or anyone else’s, for that matter. When it comes to picking a candidate in the 2008 elections, many are still seeking divine guidance. 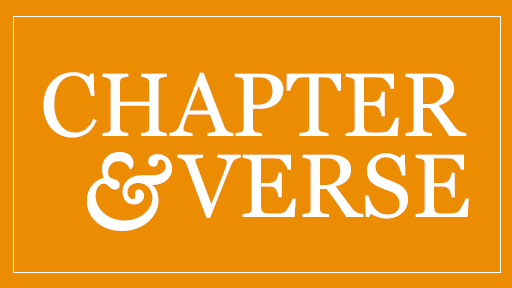 UNIDENTIFIED WOMAN’S VOICE (Praying): I pray, Father, that you would make it clear who your choice is tonight; so that we your people, called by your name, can unify behind your choice. Dr. JOHN GREEN (Pew Forum on Religion and Public Life): Most evangelicals tend to be more Republican than Democratic, but they’re not behind any particular candidate. A few people are supporting each of the major Republican candidates. An awful lot of evangelicals are simply undecided. 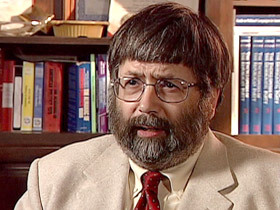 LAWTON: John Green of the Pew Forum on Religion and Public Life says evangelical support was crucial to GOP victories in 2004. Dr. GREEN: They made it possible for the Republicans to carry all of the states in the South and to win key swing states like Ohio and Missouri in what was otherwise a very, very close election. To have any diminution of that strong voting base in the Republican Party would be problematic for a Republican presidential campaign, and if it was diminished by a large amount it might spell defeat. LAWTON: Many religious conservatives are reluctant to support Republican frontrunner Rudy Giuliani because of his stands in favor of abortion rights and gay rights. Although some evangelical leaders have endorsed former Massachusetts Governor Mitt Romney, others in the community are finding it difficult to support him because of him Mormon faith. Former Tennessee Senator Fred Thompson has some evangelical support, but he disappointed many with his recent admission that he does not regularly attend church, even though he said he is “right with God.” None of those three attended a values voter debate last month, sponsored by several conservative profamily groups. UNIDENTIFIED WOMAN (at Values Voter Debate): I predict that because they snubbed us they will not win, because we will not follow their lead. LAWTON: After the debate, organizers took a straw poll of those in the audience. Mike Huckabee was the runaway winner. Mr. HUCKABEE: (at podium, Values Voter Debate): If the Republican nominate someone who’s an establishment Republican and who’s a wholly owned subsidiary of Wall Street or the K Street lobbyists, we’re going to lose the election. We’d better elect somebody who understands what it’s like to live on Main Street and real-world America. LAWTON: For more than 10 years before he entered Arkansas politics, Huckabee was a Southern Baptist minister. He says being a pastor was a great training ground for being president. Mr. HUCKABEE: There’s not any social pathology that exists today that I couldn’t put a name and a face to. So that period of my life where I was literally touching people’s lives from the cradle to grave is probably the best way I could have ever been prepared to deal with the job that ultimately is about dealing with people and understanding the incredible frailties and complexities of life. LAWTON: Huckabee admits he’s frustrated that more Christian conservatives haven’t rallied around his candidacy. Mr. HUCKABEE: I think that some of them frankly are more intoxicated with power than principle. LAWTON: He told me he sees a focus on being pragmatic that he finds disturbing. 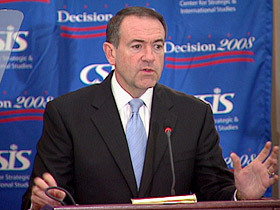 Mr. HUCKABEE: I hear some of the so-called Christian leaders say, “Well, we love Huckabee. He really agrees with us, and he’s one of us in terms of views. But, you know, we’re looking for somebody that we’re confident is going to win.” Well, two things. First, a lot of these people if they would get behind me I’d be winning right now, and I think I will ultimately without them. But secondly, if they really are principled it’s not about who might win, it’s about who stands with us. 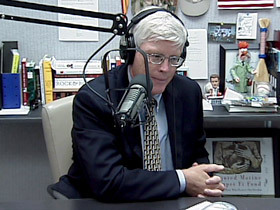 LAWTON: But author and conservative Christian talk show host Hugh Hewitt says electability does matter. He notes that Huckabee and other GOP candidates haven’t been successful enough in fundraising to prove that they are viable contenders. Mr. HEWITT: We just better put forward the best candidate, and I think evangelicals will realize the stakes. There are going to be three retirements on the Supreme Court in the next eight years. That’s enough to capture anyone’s attention. LAWTON: Hewitt believes many evangelicals could ultimately bring themselves to support Giuliani, despite his record on abortion. Mr. HEWITT: Yeah, I wish he was pro-life, but the presidency and the life issue only comes down to judges, and he is going to be appointing pro-life judges because he is going to appoint strict constructionists, in my view. So it just does not have a lot of play with me. I think what matters more is, can they win? Can they look at Senator Clinton in the eye, beat her in a debate? She’s going to be the nominee. LAWTON: But some religious right leaders are already floating the idea of a third-party candidate if Giuliani gets the Republican nomination. Dr. GREEN: Many Christian right leaders, and indeed many conservative Christian voters, are very committed to the social issue agenda and the idea that the Republican Party would, in their view, abandon that agenda would be very, very problematic. LAWTON: At the same time, Democrats are increasingly courting evangelicals and other people of faith, emphasizing issues like social justice and the environment. 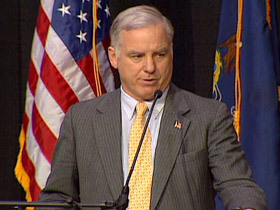 Earlier this year, Democratic National Committee chairman Howard Dean spoke to the evangelical Eastern University in Pennsylvania. HOWARD DEAN (in speech): Part of my job is to reach out to the faith community to talk to them about Democrats, since we’ve been completely absent in the faith community for a long time. We’ve been afraid to show up. We’ve been cowed by people who denounce us from the pulpit. LAWTON: Illinois Senator Barack Obama’s campaign has been holding a series of faith forums in key electoral states, inviting people to come together to discuss the role of religion in politics. Joshua DuBois is Obama’s director of religious affairs. JOSHUA DUBOIS (Obama Campaign Director of Religious Affairs): People of faith are critically important to this campaign, as are all Americans who are hungry for change, hungry to bring people together across lines of division and really come together around our common hopes and our common challenges. LAWTON: Evangelical author and activist Brian McLaren spoke at this Obama faith forum in Iowa. BRIAN MCLAREN (Evangelical Author and Activist): You know, so many have assumed really for decades now that to be evangelical means that you’re a conservative Republican and that you have a whole package of ideology that’s centered on two moral issues, one or two moral issues. I represent a growing number of evangelicals who are completely unsatisfied with that characterization. LAWTON: Evangelicals, and especially younger evangelicals, may not be as tied to the Republican Party as they were in other recent elections, but they’re not yet moving to the Democrats either. Dr. GREEN: And therein lies one of the puzzles of the current presidential process. There is an opening for Democrats among evangelical voters, a strong Republican constituency, but they still have not yet made the sale. LAWTON: Some wonder whether disenchantment may cause evangelicals to pull back from the political process altogether. Huckabee says it’s vital that people of faith stay engaged in the public square. Mr. HUCKABEE: It’s about standing for your convictions, and if it’s not about that, then I’m afraid that many people got involved for all the wrong reasons. LAWTON: Seventy-nine percent of evangelicals voted for George W. Bush in 2004 — nearly 40 percent of his total vote. That’s a lot of support still up for grabs in 2008. I’m Kim Lawton in Washington. Read or watch the extended R & E interview with Republican presidential candidate Mike Huckabee.